Tonight on 360°, the showdown on Capitol Hill between lawmakers and BP CEO Tony Hayward. 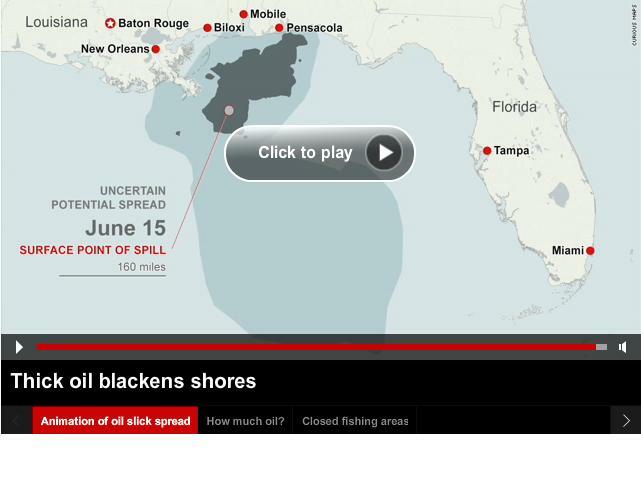 Plus, did BP know the Gulf well could be leaking as much as 60,000 barrels of oil a day? Sen. Charles Grassley wants to know after looking over a BP document. We're Keeping Them Honest. Program Note: Country music star Trace Adkins will be joining Anderson tonight to talk about the Gulf oil spill. See the full interview tonight at 10pm ET. Trace Adkins, who is a native of Sarepta, Louisiana, worked as a pipe fitter on an offshore drilling rig before becoming the country music star he is today. He is also the author of the book, A" Personal Stand: Observations and Opinions from a Freethinking Roughneck". See the full interview tonight on AC360° at 10 pm ET. 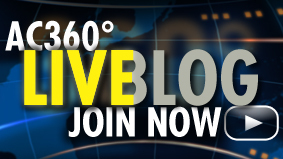 Video: Another oil disaster waiting to happen? (CNN) -BP has said it hopes to have a relief well in place in August to permanently cut off the oil gushing into the Gulf of Mexico. 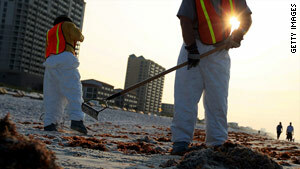 The company has said the operation is the best sure-fire way of plugging the massive oil leak. A relief well is a well drilled into the existing well, intercepting the flow and allowing a specialized heavy liquid to be pumped into the flowing well to bring it under control. BP began drilling the first relief well on May 2 and started drilling a second one two weeks later. The wells are being dug to a depth of about 18,000 feet, just above the oil reservoir. Once one hits the original pipe, just 7 inches in diameter, drilling mud will be shot into it to stop the spewing oil. Cement will then be used to permanently seal it. 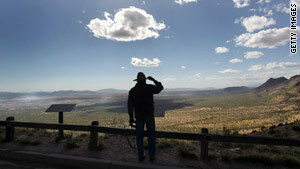 A rancher scans the Mexican border from Arizona, which critics say has less protection than Texas and California. An Arizona rancher who was killed in March transmitted a radio message to family shortly before he was shot to death, according to a newly released report from the Cochise County Sheriff's Department. Robert Krentz's brother Phil told officers that Krentz said over the radio that he had seen an illegal alien on his 35,000-acre ranch who appeared to need help, then they never heard from him again. Another local rancher told sheriff's deputies he overheard the radio communication between the Krentz brothers. That rancher's name has been blacked out in the heavily redacted police report. He corroborated Phil Krentz's statement. He remembered Robert Krentz saying it appeared the illegal alien was hurt and someone should contact Border Patrol. What can BP afford to pay? Nobody's sure. NEW YORK (CNNMoney.com) - In the days immediately after oil began leaking from a well deep below the surface of the Gulf of Mexico, few expected the spill could cripple one of one the biggest energy companies in the world. Now, nearly two months after what has become the worst oil spill in US history, the outlook for BP is unclear and investors are bracing for the worst. Shares of the giant oil company have plunged 48% since the April 20 explosion on the Deepwater Horizon, erasing nearly $90 billion of BP's market value. Investors have been rattled by pressure on BP from Washington to suspend or reduce its dividend payment, which totaled $10.5 billion last year. There is also growing speculation that BP could be taken over by a rival or end up in bankruptcy court because of the spill. 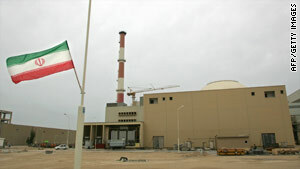 Pictured is the building housing the reactor of the Bushehr nuclear power plant in Bushehr, Iran. Tehran, Iran (CNN) - Iran is starting design work on a new nuclear reactor, the head of the country's Atomic Energy Organization said Wednesday, according to Iranian media. The design should be complete in two to three years and the reactor should be operational within five, Ali Akbar Salehi told the official Islamic Republic News Agency. The remarks come a week after the United Nations Security Council slapped new sanctions on Iran as punishment for its controversial nuclear program.